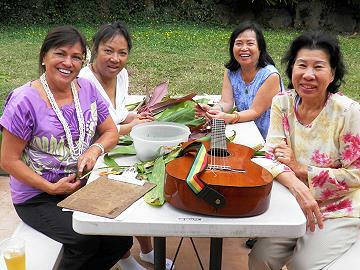 Aloha and hula parties (learn the hula, ukulele, native arts and craft). Surfing lessons and lomi-lomi from old timers. Small, private weddings, renewal of wedding vows, family blessings. Environmental tours focusing on past historical activities and present restoration. Tours of native Hawaiian landmarks and ecosystems. Purchasing your Hawaiian-made souvenirs directly from Hawaiians. The income derived from these activities goes directly to the Hawaiians organizing and participating in them. 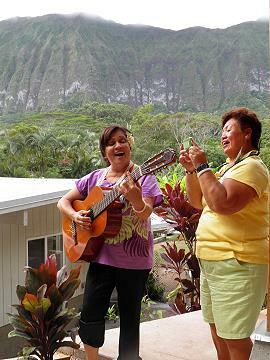 They donate some of their income to alohahawaiionipaa.org whose aim it is to support the local Hawaiian community as a whole.